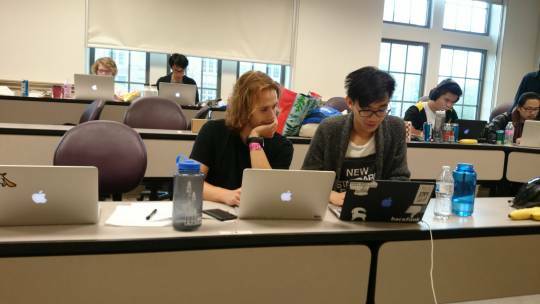 Algorithmia was on-hand at the second-annual DubHacks hackathon last month, the largest collegiate hackathon in the Pacific Northwest. Over 600 student developers and designers flocked to the University of Washington in Seattle campus to form teams, build projects, and create solutions to real-world problems. intuiti0n wanted to make the literature review process easier by building a service that finds important research papers across all fields of study. The team was comprised of Nirawit Jittipairoj, Alex Thompson, and Bryant Wong. We spoke to Bryant Wong from the team, a senior at the University of Washington with a triple major (!) in mathematics, statistics, and computer science, about their intuiti0n hack. How did you utilize Algorithmia in your project? 3) simple integration in our Python scripts.